At its November meeting, the TTC considered various matters other than the 2013 budgets on which I have already reported. The new “citizen” members of the TTC were sworn into office: Maureen Adamson, Nick Di Donato, Alan Heisey and Anju Virmani. Ms. Adamson was elected Vice-Chair of the Commission under a new Council-approved structure where the Vice-Chair is chosen from the citizen member ranks. At this point we know little of where the newcomers will take the Commission beyond background articles such as one in The Star. 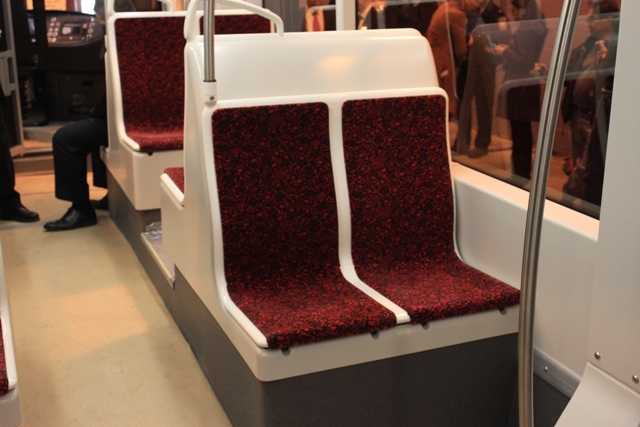 Although they may claim to be focused on customer priorities, whether this will survive the political onslaught of budget constraints and the organizational morass of “TTC culture” remains to be seen. 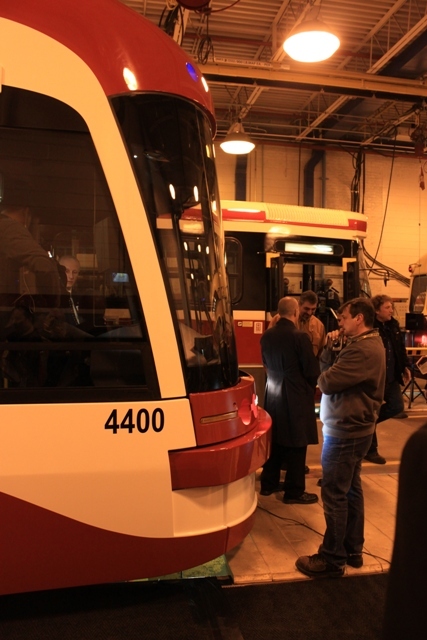 Commissioners tend to catch a “TTC disease” when it becomes easier to defend what the TTC has done and the official management outlook than to ask difficult questions, publicly, about how things could be better. At least there is a CEO in place whose goals lie in improvement, not in justifying more of the same. On display at R.A.D., 899 Dundas Street West (just east of Bellwoods, south side). 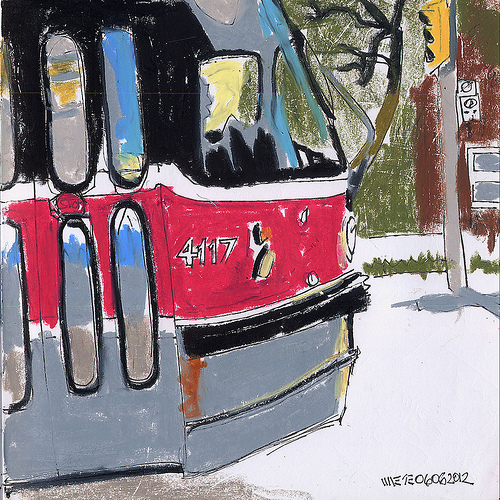 Jerry’s illustrations of Toronto, frequently including streetcars, appear regularly on Spacing’s website. You can pull up all of his Spacing posts (open each article individually to see the illustration) or go to his flickr page (look under “art by category” for the street scenes). The gallery will generally be open on weekends from noon onward. Other days, by arrangement. If you like Jerry’s work, the pictures are worth seeing as originals, not just online. The Facebook event page will be updated from time to time with current info. Image Copyright © by Jerry Waese, 2012. Excavation of the track allowance and placement of the new foundation slab is now in progress between King and Queen Streets on Dufferin. Toronto Water is now working south from King. This is the last track replacement project for 2012. Demolition of the trackbed has progressed eastward to Rees Street. With the eastbound road lanes now closed, passengers looking for the replacement bus service have a considerable challenge as there is no signage anywhere at the former eastbound stops indicating that buses are now operating on Lakeshore and Harbour. 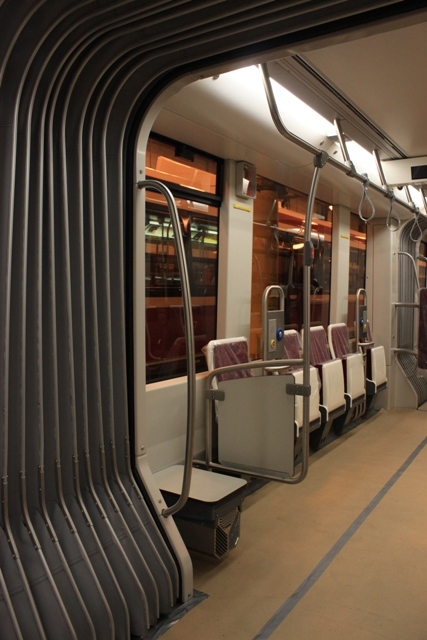 The matter of streetcar track and cycling will be considered by the Public Works Committee on November 14, 2012. How much coverage this will receive, considering that the first item on the agenda is the proposed ban of plastic bags, remains to be seen. The report, in brief, says that streetcar tracks have been around for a century and the problem is how to improve cyclist safety. 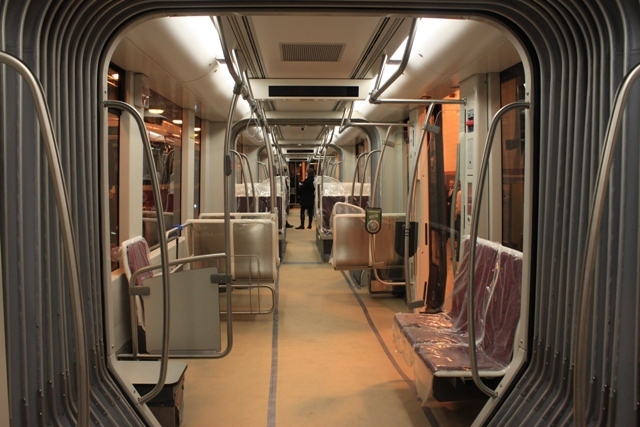 Removal or covering over of tracks would be done only for inactive parts of the system. Neville Loop tail track: A fragment of this long-disconnected track is still visible south of Queen. On an historic note, this street was the last place to have track set in wooden block paving, but that’s long gone. Bingham Loop tail track (Kingston Road at Victoria Park): This may be removed as part of the TTC’s Kingston Road project in 2013, but it is not clear from the TTC capital budget exactly which special work at Bingham Loop is to be removed. It is now clear that the TTC does not intend to retain the eastbound track on Adelaide Street which has been unusable due to various construction projects for years, and which is in very bad repair thanks to many pavement heaves, asphalt patches and utility cuts. I cannot help wondering why the TTC has included replacement of the overhead poles for this street in its ongoing program. Possibly they never got around to deciding until the cycling issue came up, or the electrical planners didn’t know what the track folks had in mind. Adelaide has been out of service for so long that one could hardly claim that the TTC is losing flexibility because they have done without it for over a decade. In any event, there are many years before the scheduled removal, and if a case can be made for reactivating the track, it will still be around, albeit in appalling condition, for a while. As for the cyclists, the report is basically saying “be careful”, and the issue is now one of finding ways to make the roads safer for cycling without removing active streetcar lines. Forty years ago today, the TTC decided to retain its streetcar system. My comments are on the Torontist website. 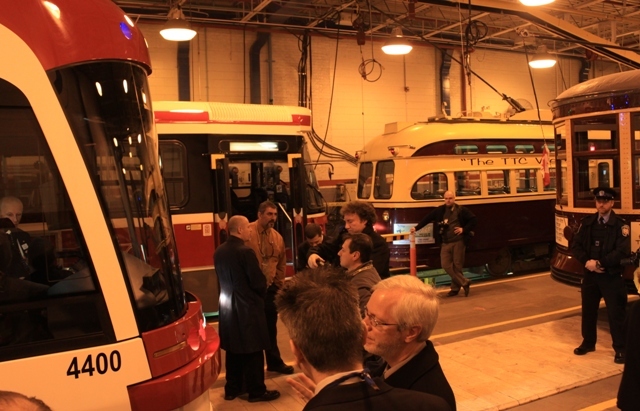 A few changes will be made to TTC service in November 2012. Corrected Nov. 7, 2012 at 11:35 am: Route 504 King trippers which appeared to be a service increase are actually only a TTC correction to a previous error in their Service Summary. Service will return to McCaul Loop operating on the same headways but with one fewer car during peak and weekday midday periods. 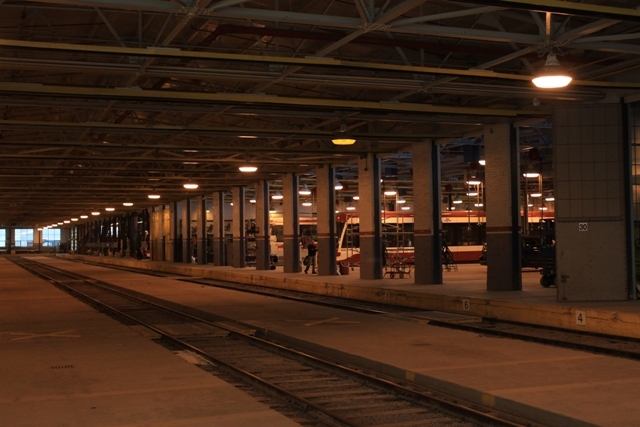 Service will return to Dufferin south of Queen when work by Toronto Water and TTC track replacement have finished. Although this is not mentioned in the service change memo, the Service Summary shows three more CLRV trippers in the AM peak than on the October schedules. This extends the period of 2′ headway eastbound to downtown by 12 minutes (a total of 19 trippers rather than 16 on a 4′ headway). Correction Nov 7: Scott Haskill at the TTC advises that these trippers existed in previous schedules, but were not included on the Service Summary. Therefore, there is no net addition to service. The late evening 11 minute headway will be extended to midnight to relieve crowding, and a new northbound trip from Kipling Station will be provided at about 2:20 am. These changes are on the weekday schedules only. All service now operating on a 15′ headway with 2 buses will be changed to run on a 20′ headway to “improve reliability”. The change includes adding six minutes of driving time and four minutes of layover to each trip. Affected periods are weekdays all day to mid-evening, Saturday and Sunday daytime. Service at other times remains at 30′. 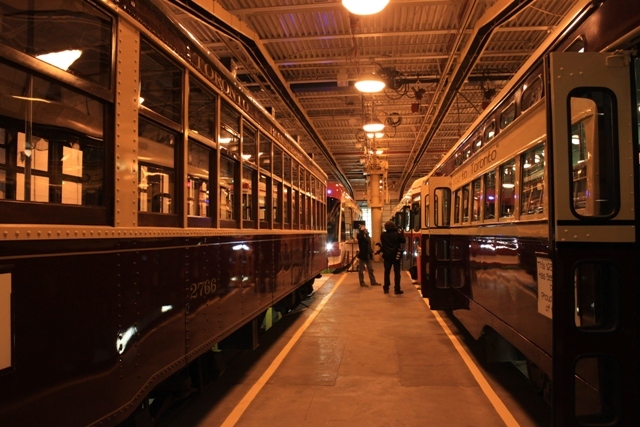 Streetcar service returns between Spadina Station and King Street with a bus shuttle from King to Queen’s Quay. Early Evening        2'15"     2'30"   6'00"
Late Evening         6'00"     6'00"   6'00"
Bus shuttle headways will be 6’00” at all times except early Sunday morning when they will be 10’00”. 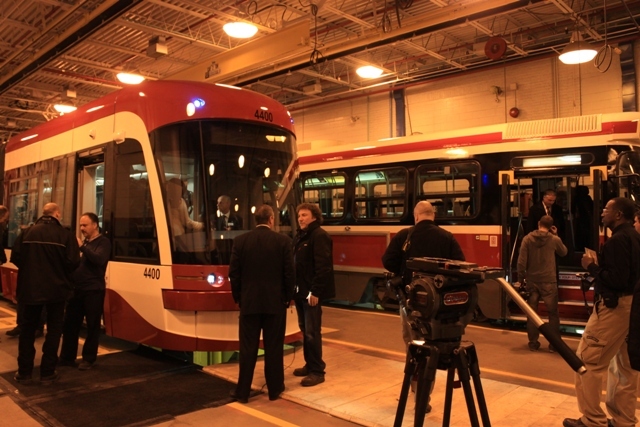 Streetcar service will return to Queen’s Quay & Spadina on December 23, 2012 using the same schedules as in May 2012. 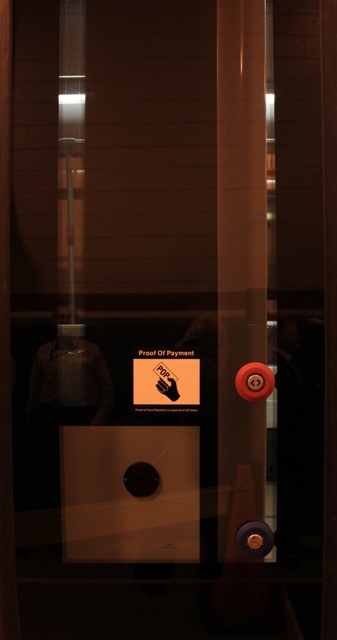 Service to Union Station will not resume until late spring 2013. Weekend service to Canada’s Wonderland ends. 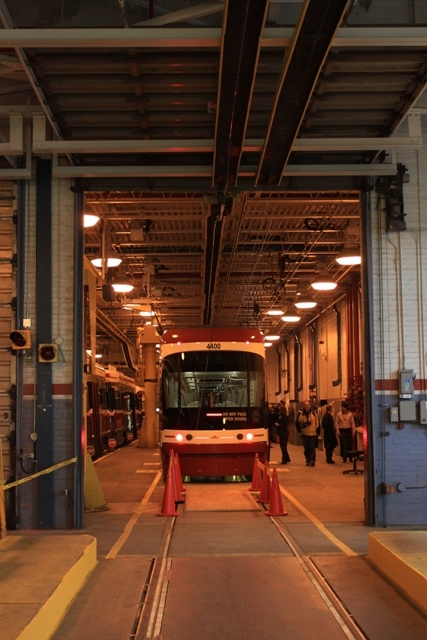 This is the final installment in my review of the TTC 2013-2022 Capital Budget.